In which Ulrich describes the technological development of his practice as well as the future of music. BB: I’m most intrigued by the evolution of your performance set up. I find it interesting that set ups ‘settle down’ after much change and experimentation into something which feels like a complete ‘system’ or instrument. Being that this isn’t the first setup you’ve worked with, what would you regard as the elements crucial to a useful setup? UM: It was constant change over many years that led me to the point at which I now consider my setup as a complex instrument which I constantly develop. 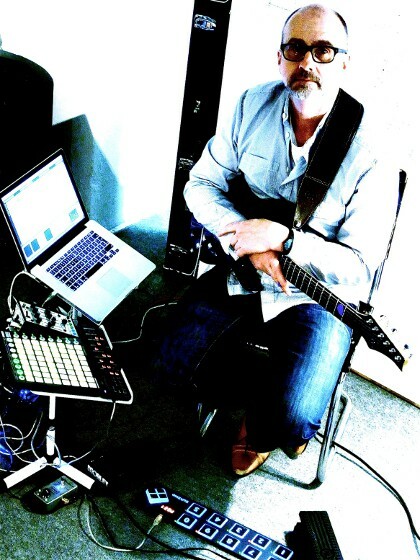 Munich based musician and composer Ulrich Müller recently visited Cape Town. I bumped into him last December at an As Is gig – the free improv group I play with. Not heard of him? Well that’s probably because, despite his being well established as a composer of music for dance (with 48nord), his work as a performer inhabits the territory broadly known as ‘Electroacoustic music’, subcategory ‘Free Improvisation’. Which would no doubt make him anonymous for South African and certainly many other audiences – an unfortunate state of affairs. Well this time here for a holiday with his partner Tanja, we managed to work in some very enjoyable jam time and also time to talk, which led to an interview. Here follows part 1 of the interview (part 2 to be posted shortly)…. Part 1 – A Wonderful Contradiction.